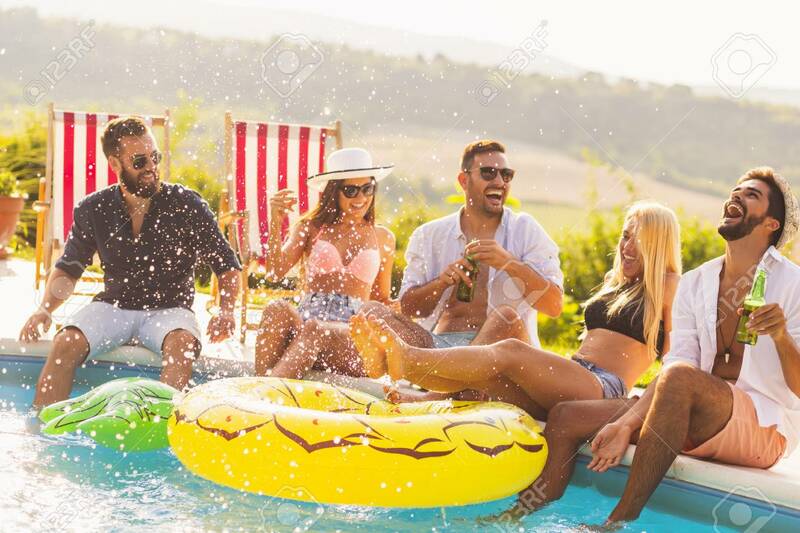 Group Of Friends At A Poolside Summer Party, Sitting At The Edge Of A Swimming Pool, Drinking Beer, Splashing Water And Having Fun. Focus On The Guy On The Right Banque D'Images Et Photos Libres De Droits. Image 118131346.